Developed in collaboration with leading professionals and POC team athletes, including Slopestyle legend, Martin Söderström and Robin Wallner from the Ibis Enduro racing team, the POC - Coron Air Carbon SPIN sets a new benchmark for performance, protection, ventilation and all day comfort. The helmet which has been designed for competition use, and is certified for use in downhill and enduro racing, is the ultimate full face performance helmet with extremely low weight fused with unparalled ventilation and safety. The minimal weight and high ventilation ensures that the Coron Air Carbon SPIN is the perfect helmet for all day use. 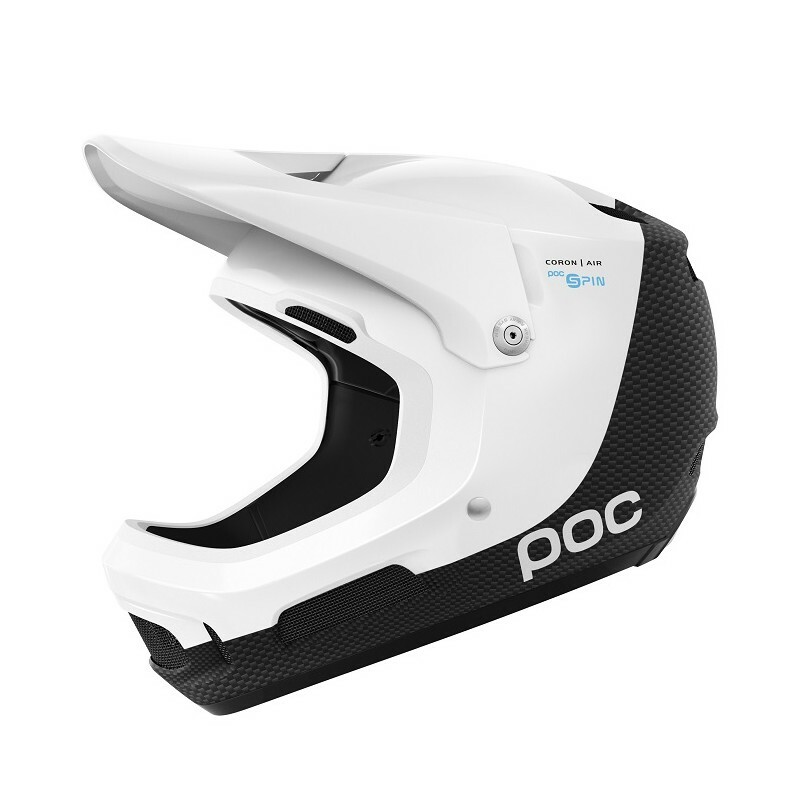 POC has been at the forefront of protection and helmet technology for a number of years. To deliver on our mission POC helmets are all developed with our whole helmet concept at the center of our design process; using optimized materials throughout the helmet e.g. the Coron Air Carbon SPIN uses an advanced Carbon fibre shell paired with a multi-impact EPP liner to provide high impact performance, durability and low weight. 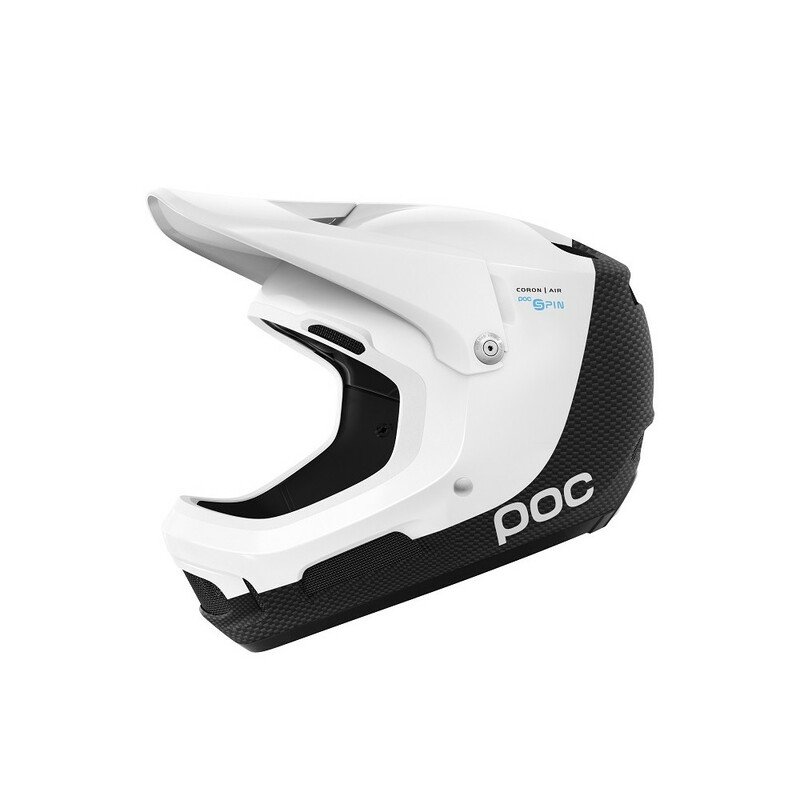 The POC - Coron Air Carbon SPIN features an advanced ventilation system which pushes air through the helmet via a series of internal channels providing enhanced levels of ventilation. In addition, the ventilation design has been optimized for all day use, especially during transfers between Enduro stages or hotter days on the bike, and thanks to the vent design the airflow has been maximsed to work at both low and high speed. To complete a high performance and versatile helmet the Coron Air Carbon SPIN also features SPIN (Shearing Pad Inside), which is our patent pending silicone pad technology system which uses innovative materials and design to complement POCs whole helmet approach, emergency removable cheek pads for added security in the case of a head or neck injury, ear chambers which have been designed to reduce any negative effect on balance and hearing, a chin bar constructed for optimized protection and breathing as well as a break away visor designed to break off in the case of an impact to protect the users head and neck. Lightweight, specially designed to be worn all day long. Ventilation: Excellent ventilation through innovative airflow and ventilation. Construction: Helmet integrated with patent-pending SPIN pads (Shearing Pad Inside). Construction: Ear chambers that improve balance and hearing. Upholstery: Removable cheek pads in case of emergency for extra security in case of head or neck injuries. Construction: chin bar for optimized protection and easy breathing. Construction: EPP liner with multiple impacts. Upholstery: all internal upholstery can be removed for washing. Safety: Simple and effective buckle attachment system for extra safety. 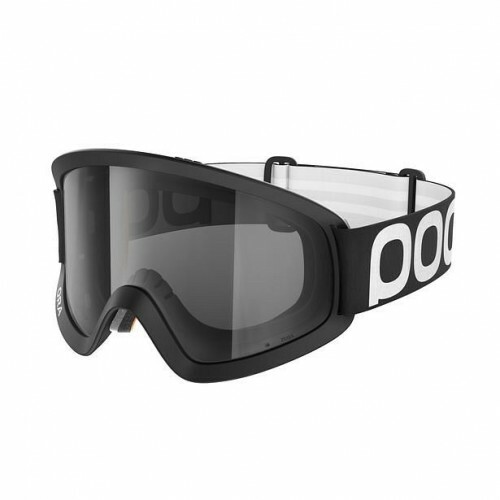 Optionally available: Precision and fit with the new Ora mountain bike goggles.